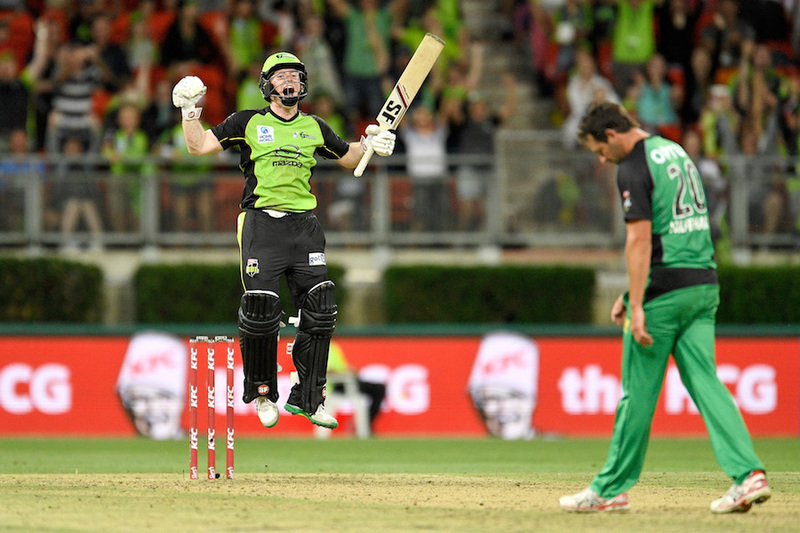 The death overs in a T20 match can often be crucial in determining which side wins the match. In the first innings, a batting team can seize control of the match by piling on the runs in this spell, while the bowling team can bring their side back into it with a couple of tight overs. Similarly, in the second innings, the match is literally decided in these overs. 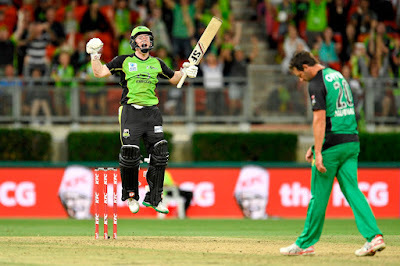 We have already seen in the Big Bash what can happen when a poor death bowler is tasked with defending even a relatively high number of runs in the final over when Eoin Morgan and Pat Cummins took 16 off a Ben Hilfenhaus over to win the match. So, let us take a look at some of the death bowlers in the Big Bash to see which teams have specialists in this situation and which teams could be in trouble. In my model, the death overs are classed as the final four overs of the innings (i.e. the 17th, 18th, 19th and 20th overs of a T20 innings). The model generates a rating for each bowler in this period by comparing their performance in terms of runs conceded and wickets taken to the global T20 average. If a bowler concedes fewer runs or takes more wickets than would be expected from your average T20 bowler, his rating goes up. Conversely, if he concedes more runs and takes fewer wickets, his rating will decrease. The expected runs are also scaled depending on the ground and the batsman to whom he is bowling. As we can see, Sunil Narine is well clear at the top of the death bowler ratings in the Big Bash. The issue with Narine is that he is the Renegades best bowler in every situation, so saving his overs for the death may not necessarily be the best strategy. It is another spin bowler in Johan Botha, who is in second place, followed by the pace trio of Tait, Bollinger and McKay. Interestingly, with the exception of Sunil Narine, all four of the other bowlers are aged 33 or older. This could be a coincidence or it could be that experience is valuable when it comes to death bowling. At the other end of the scale, we can see that Ben Hilfenhaus is among the worst death bowlers in the competition, raising questions as to why the Melbourne Stars persist with bowling him for two overs during this period. Brisbane Heat are also in trouble with both Ben Cutting and Mark Steketee in the bottom five of the ratings. However, with the injury to Samuel Badree, there may be hope for the Brisbane Heat. They have signed the English fast-bowler, Tymal Mills, as his replacement and the Sussex player is actually an excellent death bowler. Indeed, his rating of 1.16 makes him the best death bowler in the entire competition, which is something that the Heat desperately need in case their power batting lineup fails and the bowlers are required to play their part. While not necessarily a great wicket-taker, Mills is excellent in terms of restricting runs at the death and an economy rate of 7.49 during the death overs is outstanding. Netflix is the best online streaming option for Home Television that has been owned and launched by an American entertainment company. Mobdro APK is open for Android, Windows PC/Laptops, iPhone, iPad, Kodi, iOS, Kindle Fire in addition.